Nothing quite says luxury like a beautiful wrought iron gate that opens onto your property, as many homes in Castaic have. If you are considering a new gate installation, you will have several choices to make beginning with the material it will be made from and how the doors will open. There are a few different types including rolling gates and overhead gates, but the most common are swinging and sliding models. The experts at Gate Repair Castaic could tell you about the benefits of each. Here are the benefits of installing a sliding model. 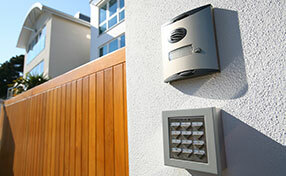 One of the main reasons for adding one of these to your entrance is the added level of security. You, your property, and your loved ones are better protected. Any visitors must gain access, normally through some type of gate intercom system or keypad entry. Sliding doors are difficult obstacles to maneuver for a criminal who is looking to get onto your property. 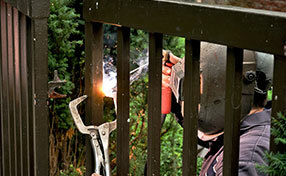 Having a gate can deter would-be burglars from even trying to gain access to your home. Most all systems that are installed these days will have some type of safety feature. What you do not want is a small child or pet being hit by a door that is opening or closing. If they are made of heavier iron or steel, they can cause serious injuries. 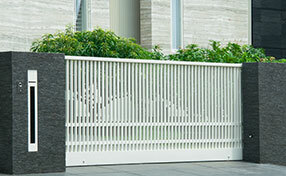 Sliding gate safety sensors can be placed onto the edge of the doors. If the door contacts something other than the other door, it will reverse the closing process as a safety measure. Any installation is a major project but putting in the sliding versions can be easier in some cases than a swinging model. When installing a sliding one, a gate company doesn’t have to be concerned as much with space or the grade of the area. Sliding doors can be installed pretty much anywhere. The sliding system can either use tracks built into the ground or a cantilever system that will allow the gates to move and, when closed, are unsupported in the middle. Installing the cantilever system is more difficult, and it also costs a little more than the track system.